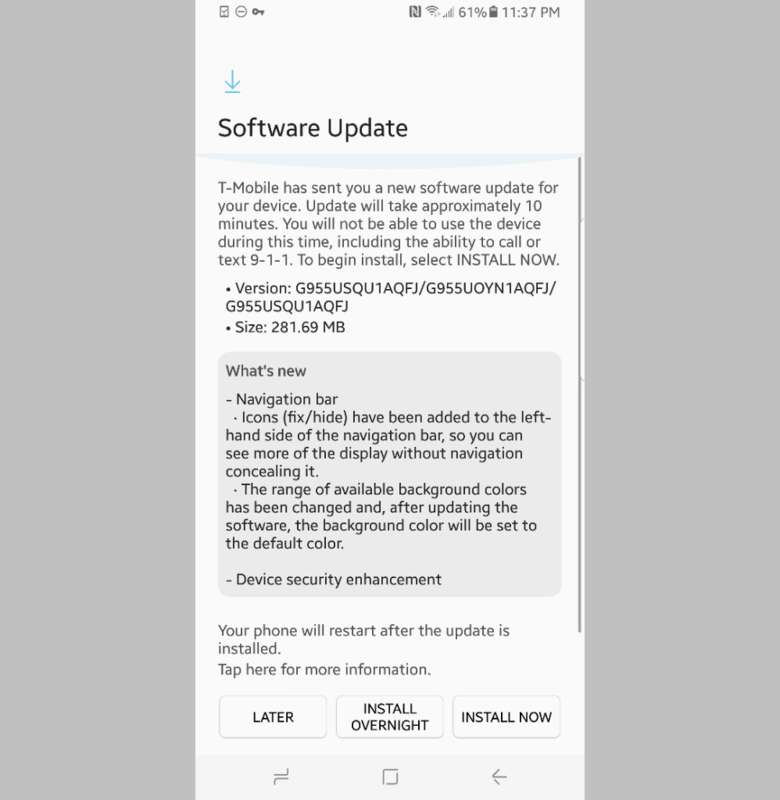 While various other devices have already received their July Security Updates, T-Mobile users have just reported receiving an update for the Samsung Galaxy S8 and Galaxy S8+. The update by T-Mobile brings in much-needed vulnerability and bug fixes which have run rampant on Android as of late. The update comes with the build numbers G950USQU1AQFJ for Galaxy S8 and G955USQU1AQFJ for the Galaxy S8+ variants and updates your device to the June Security patch. Furthermore, the update weighs in at about 280MB and is being delivered via Over The Air (OTA) mode of transmission. Although some these changes have been listed in the OTA changelog by Samsung itself, various other additional changes including bug fixes and minor optimizations have been omitted. The update rollout should be completed within a week and will reach T-Mobile users automatically. In case the update missed you somehow or you are not the patient kind, head over to Settings > About Device > System Update and check whether the update is available for your device. It is always a good idea to ensure that you download the OTA via a stable connection (Wi-Fi recommended) and have sufficient charge on your device, failure to do so may result in a bricked handset.